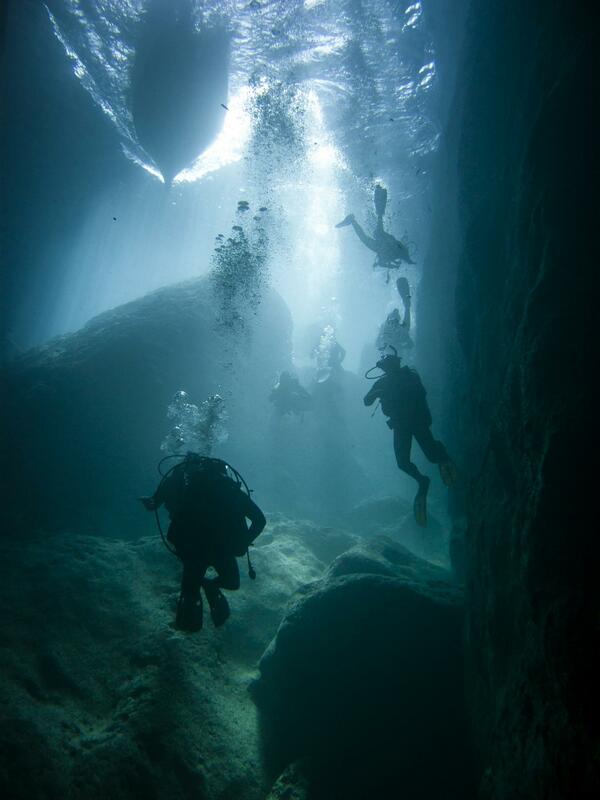 Inland Sea & Tunnel is one of the most popular scuba dive sites in Dwejra. Inland Sea is a shallow semi-circular lagoon of about 60 m wide connected to the Mediterranean Sea by 80 m long Tunnel cave through the rock. 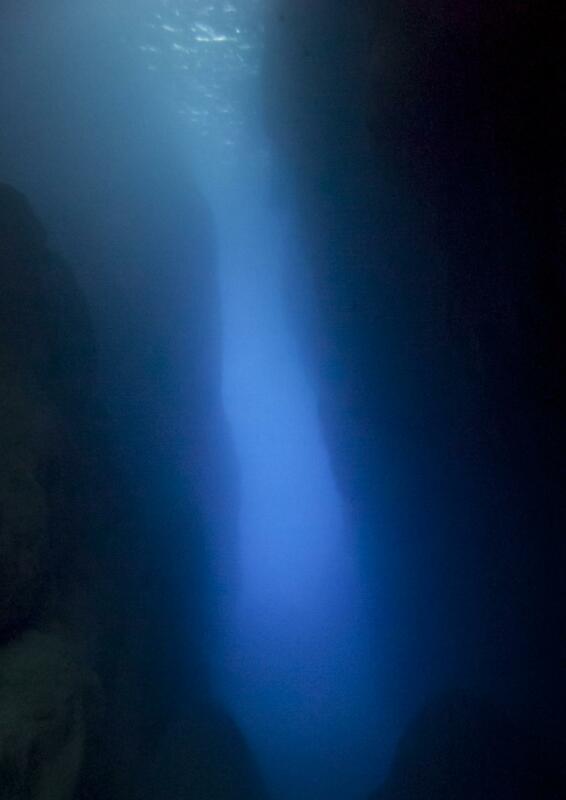 There is actually not much to see for divers in Inland Sea itself, but the Tunnel offers amazing diving experience. In the Inland Sea maximum depth is 2 m. The bottom of Tunnel gets progressively deeper, starting at 3 m in the lagoon side, and at the seaward end reaches 26 m. The tunnel has vertical walls and pebble bottom, ending to a lot of big boulders around the seaside exit. 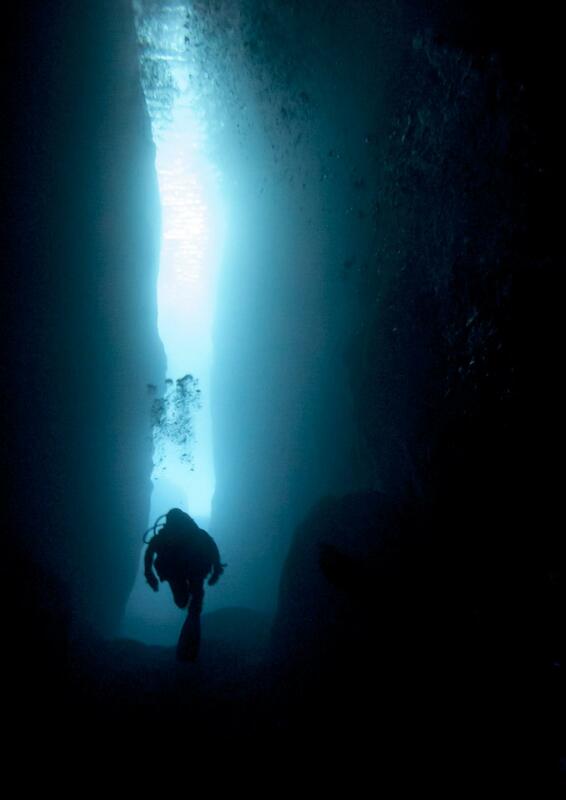 Outside the Tunnel the seabed drops down to around 50 m.
From the Tunnel it is possible to either dive the reef walls, north or south of the Tunnel exit, and return to Inland Sea through the Tunnel, or continue the dive all the way south to Azure Reef and exit through Blue Hole. Towards north there are few caves/cracks to dive, like Audrey's Crack. Inland Sea is popular not just with divers but also for tourists looking for boat trips to see the cliffs and caves on Gozo's western coast. 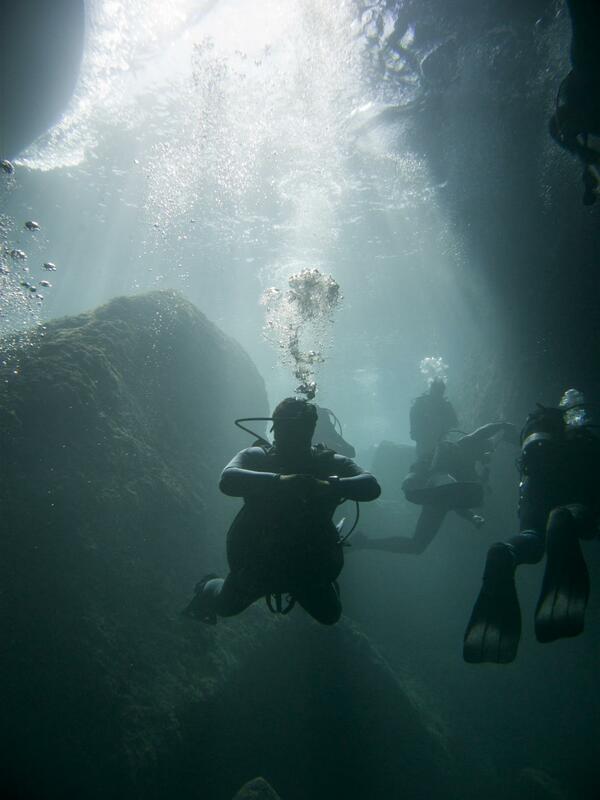 It is possible to surface in the tunnel at all times, but beware of small motor boats taking tourists on sight-seeing trips during your dive in the tunnel, and stay close to the sides if you have to surface or you are in shallow water. ★★☆☆☆ Position did not impress us, except tunnel. Outside we turn right way. Except some gropuers wall was more or less empty.